The Agriculture Committee heard testimony Feb. 6 on a bill meant to expand research on industrial hemp in Nebraska. Under LB1133, introduced by Sen. Justin Wayne of Omaha, the state Department of Agriculture would establish and oversee a five-year industrial hemp research program that would consist of the planting, cultivation, testing and analysis of industrial hemp demonstration plots by growers who are licensed by the department. The department also would be responsible for obtaining any federal permits or waivers necessary to grow industrial hemp in Nebraska, and it would promote the research and development of industrial hemp and commercial markets for it. 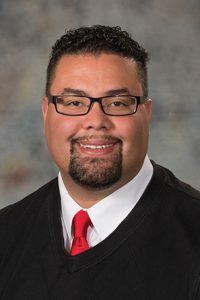 Wayne said LB1133 would give Nebraska farmers a new alternative crop at a time when the agricultural economy has been struggling. Industrial hemp can be used to make more than 25,000 products, he said, including fabric, rope, paper, insulation materials, industrial oils and dietary supplements. More than $700 million in hemp products were sold nationwide last year, he added. Although hemp is a cannabis plant like marijuana, Wayne said, it is important to note that hemp contains very low levels of tetrahydrocannabinols (THC), the chemical responsible for marijuana’s psychoactive effects. 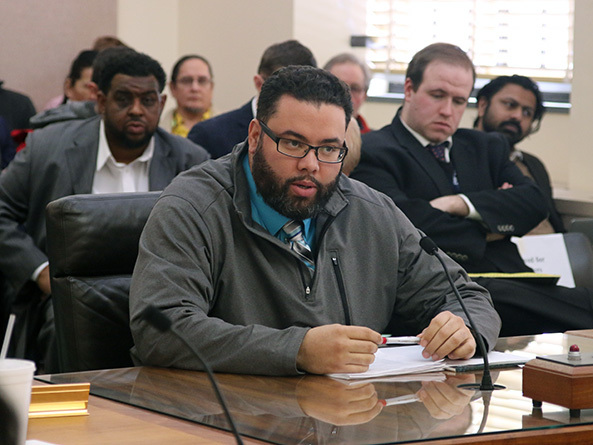 He said LB1133 would expand on a 2014 law that authorized Nebraska’s postsecondary institutions or the state Department of Agriculture to grow industrial hemp for agricultural or academic research. The 2014 Farm Bill gave universities and state departments of agriculture the same authority. The program, which would be managed by the College of Agricultural Sciences and Natural Resources at the University of Nebraska, would conduct research and analysis of the soils, growing conditions, and harvest methods related to the production of varieties of industrial hemp that may be suitable for commercial hemp products. It also would conduct seed research on types of industrial hemp that are best suited to be grown in Nebraska. The department would notify the State Patrol and local law enforcement agencies of the location of all demonstration plots, and applicants for licenses would be required to allow the State Patrol to enter onto the premises where hemp is being grown to conduct physical inspections twice per year. The department would be responsible for monitoring the hemp grown by license holders and would provide for random testing of the plants to ensure compliance with THC levels. Josh Egle, a hemp farmer from Colorado, testified in support of the bill. Egle, who also is preparing to grow hemp in eastern Wyoming next year, said that Nebraska has better potential for industrial hemp production than almost any other state because wild varieties of the plant already grow well here. He said Nebraska farmers are missing out on the economic benefits of industrial hemp, which already can be grown for commercial purposes in Colorado, Oregon and Kentucky. “This bill is about getting farmers onboard the train before it completely leaves the station,” Egle said. Rebecca Schwarz testified in support of the bill on behalf of the Nebraska Farm Bureau. She said the bureau supports the production, processing and commercialization of industrial hemp and believes it should be regulated by the Department of Agriculture rather than the Drug Enforcement Administration. The bureau is working with Congress to remove hemp from the federal list of controlled substances, eliminating uncertainty for states and growers, Schwarz said. Testifying in opposition to the bill was Steve Wellman, director of the state Department of Agriculture. He said the program would cost more than $950,000 in the first two years while generating only about $286,000 in licensing fees. Additionally, Wellman said, the department’s licensing of growers under LB1133 would fall outside the scope of research allowed by federal law, and hemp remains a controlled substance under the federal Controlled Substances Act.